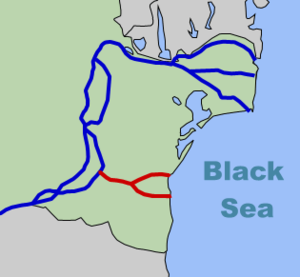 The level of the Danube has led to several ship groundings. The self-propelled barge “Hall”, loaded with 850 tons of canola, went aground on a gravel bar on the Danube near Deggendorfer. The tug Domarin 12 was able to pull the “Hall” free. The “Hall” suffered damage to its bow thruster and is being detained by the Water Police. The passenger vessel Primadonna was reported aground on a sand bank near the town of Bechet, Romania. The vessel with 150 passengers on board got stuck on the bank due to the low water levels. The passengers were safely unloaded and were continuing their trip overland. Reports state the were 28 other vessels detained in ports in Romania due to the low water level. 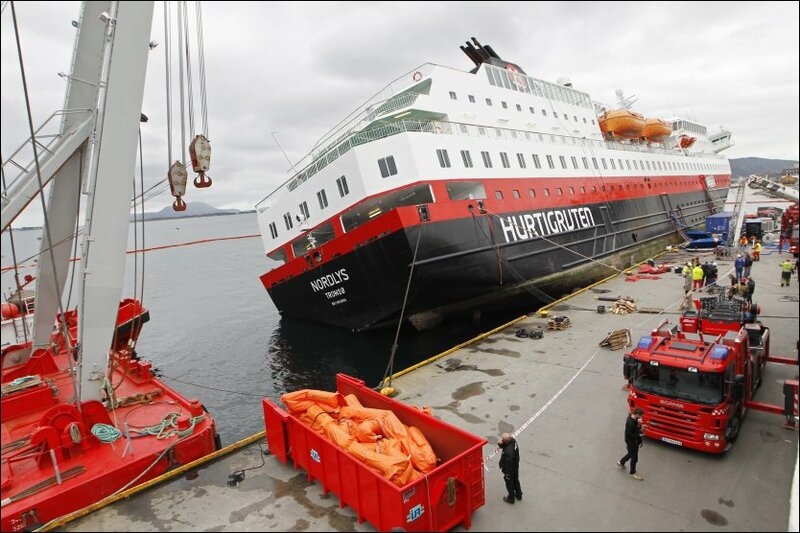 Reports state the Nordlys has gotten several pumps on board and are making progress in de-watering the vessel. The passenger ship list had steadily increased to 22 degrees and is at risk of capsizing. Salvage crews hope that pumps and the use of magnetic mats will halt any further water ingress. Pollution is a concern as oil in the bunker tanks could be released into the water. Passengers are being aided by authorities to help them return home. Nearly all passengers and crew were forced to leave their possessions on the ship.